As parents we’re at the cutting edge of technology and it’s impact to our future generations. Never before have we faced such a huge social experiment as the likes of the Internet. How do we respond to this technological juggernaut? How do we parent when our kids are more tech savvy than us? Do we know what our kids are learning on-line? Should we limit their screen time? Are we happy to let our children’s ethics, morals and sexuality evolve, or should we be proactively guiding our children in their developmental years? When and how should we start setting online boundaries for our kids? 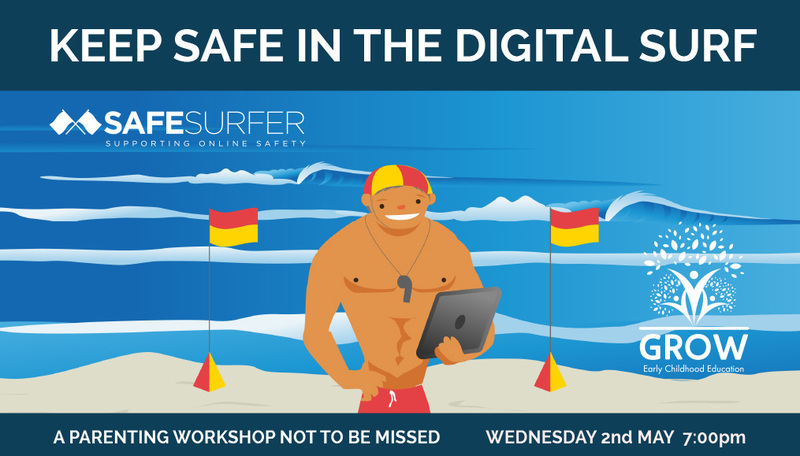 Answers to these questions - and more importantly - easy real-world solutions that every parent can use will be the focus of “Keep Safe in the Digital Surf” workshop. For most parents we’re happy that our children will use the Internet for good, with education, communication and entertainment being the focus. But what happens when they start pushing the boundaries – and how do we actually know if their inquisitiveness is leading them in the wrong direction? These questions and more will be answered, and more importantly real, easy to implement and manage, long term solutions will be provided by Aaron Sinclair at our “Keeping Safe in the Digital Waters” workshop. Aaron is founder of a number of Australia’s and New Zealand’s largest cloud hosting service providers and has over 20 years experience as a systems and network engineer. He has spent the last two years as co-founder of Safe Surfer - a New Zealand charity that provides support and tools to keep kids safe online. We all need a place to Grow!